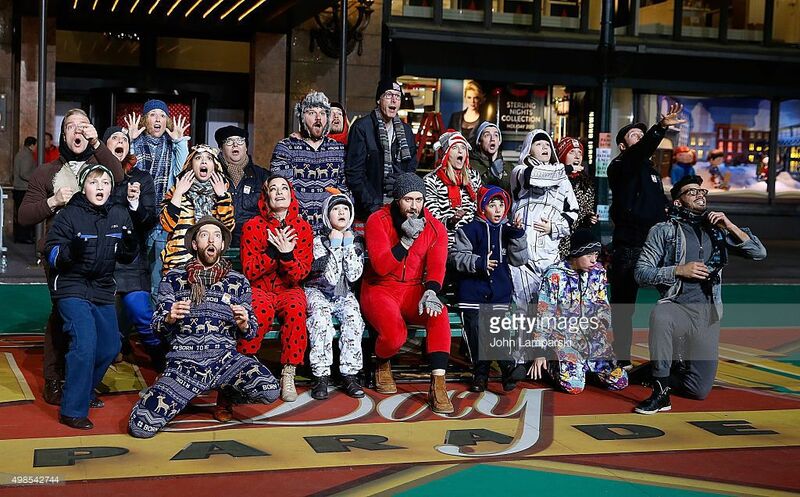 Several AMDA alumni performed at the 89th Macy’s Thanksgiving Day Parade, where NBC highlighted such shows as On Your Feet!, The King and I, Finding Neverland, Something Rotten!, Fiddler on the Roof and School of Rock. CBS highlighted other Broadway shows with AMDA alums by televising live performances from the stages of Jersey Boys and Beautiful: The Carole King Musical. The Macy’s Thanksgiving Day Parade began in 1924 as a way for first-generation European immigrants to celebrate their new American heritage by marching to the flagship store on 34th Street in New York City. As the parade evolved, balloons replaced live animals in 1927, and the Radio City Rockettes added a pre-parade performance in 1957—it wasn’t until 1980 when Broadway performances joined the tradition! Check out the videos and info below to see our alumni performing at the parade! Alumna Genny Lis Padilla opened the parade in this energizing performance from the new Emilio and Gloria Estefan musical On Your Feet! Alumnus Colin Cunliffe performed in the ensemble of Finding Neverland. This is Colin's second time performing for the parade after performing with Pippin in 2013. The cast of The King and I (currently at the Lincoln Center) performed the iconic song “Getting to Know You.” The show features AMDA alumni Q Lim, Emilio Ramos, Atsuhisa Shinomiya and Minami Yusui. Alumnae Mamie Parris (Patty) and Lulu Lloyd (swing, assistant dance captain) are currently in the new Andrew Lloyd Webber musical School of Rock. Alex Brightman and the children of the show rode on a float in the parade. Alumnus John Edwards plays Barry Belson in the ensemble of Jersey Boys on Broadway, which performed on CBS during the parade. Alumna Gabrielle Reid is currently a swing in Beautiful: The Carole King Musical on Broadway. The show and full cast were featured singing “I Feel the Earth Move”.